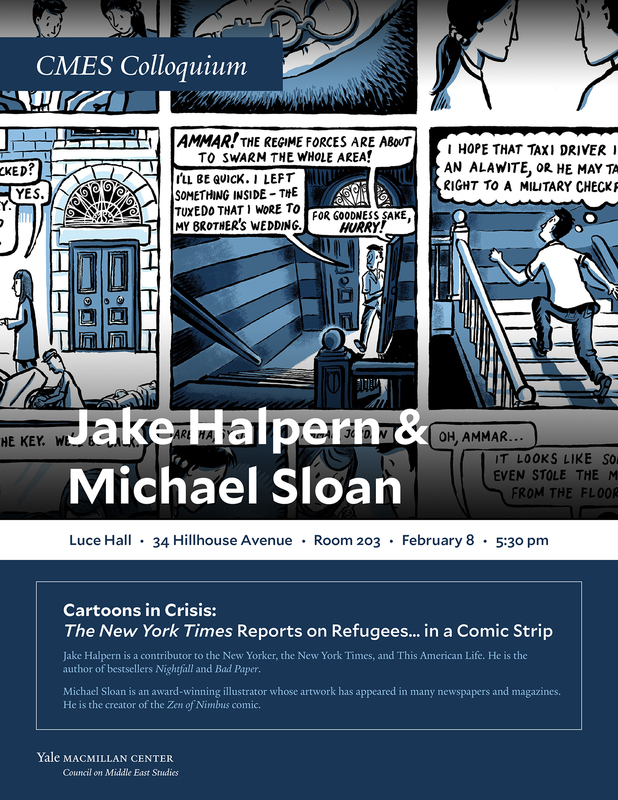 Author Jake Halpern and I will be jointly giving a lecture at Yale University about our Welcome to the New World comic. This comic reports on the lives of a family of Syrian refugees in America, and appeared in 20 episodes in The New York Times Sunday Review. The lecture will be on Thursday, February 8 at 5:30 PM at Luce Hall, 34 Hillhouse Ave., New Haven, CT. The event is sponsored by the Yale Macmillan Center Council on Middle East Studies.